at the Barnes & Noble, Moorestown. It is one of our summer programs where we teach children how to script a story, illustrate it, review it (check for grammar & spelling) and to publish the story book online. Once they are done, we train them on how to read their books to an audience. We seek opportunities for our young Authors to read their books at various public events/places. It is our pleasure that this year, we got an opportunity for of our Young Authors to read their books on stage at 1:40 pm at the Mount Laurel Fall Festival. Mrs. Pavithra Lakshminarayan had an opportunity to connect and mentor the Teen Girls at the Alice Paul Institute, APPLI College & Career program. Not only they got to hone their networking skills but also get exposed to different career choices. Mindbytes at the NJ State House! Very cool young website developers! We have 2 girl students working on a website for Reaching Young Women with Autism (RAYWA), a non-profit focusing on programs that increases employability for Young Women with Autism. Proud of our Young Authors! Jay Kadire, who articulated his experience authoring 4 books through Mindbytes' "Make Your Storybook" program, has been accepted at The Lawrenceville School. 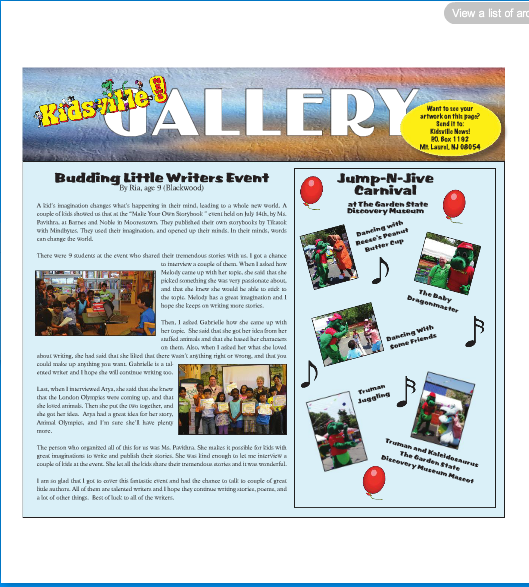 ​* We also had our famous Meet the Young Authors Program, at Young Mind Toys, Marlton. Audience not only saw our children proudly read their books but witnessed a variety of Animation stories presented by our senior students. We are proud of our Young Authors! 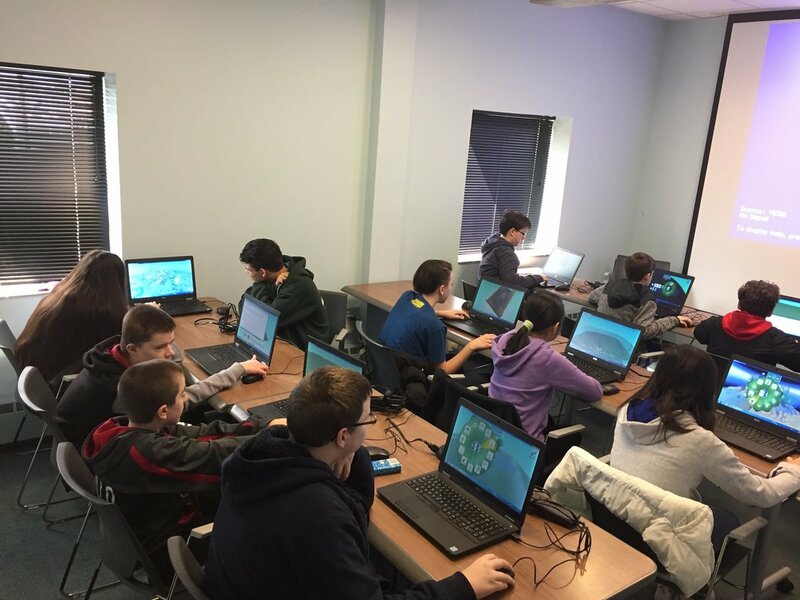 ​Mindbytes conducted a special Reader's Workshop at the Mount Laurel Library. Mrs. Roseboro Brown, Reading Specialist at the Mount Laurel Schools, provided tips to children on "How to Read to an Audience for Best Impact"
As a preparation for the Meet the Young Authors Program, we hosted an exclusive reader’s workshop conducted by Mrs. Trace, Librarian & a media specialist from one of the Mt. Laurel elementary schools. So proud of our social entrepreneurs!